Join us. 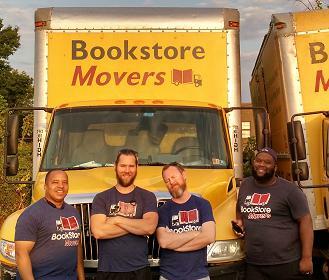 Bookstore Movers is a growing company with opportunities for rapid advancement. Note: If we call you in for an interview we'll need to see your ID documents. We also run a full background check before hiring. * Personal Vehicle driver just means you're willing and able to regularly drive your personal vehicle to job sites. PV drivers receive substantial extra compensation and hours. Per/mile compensation is up to $0.45 per mile. Drivers License that is not suspended or expired? Do you have reliable access to a car that you can use for jobs? Do you have valid insurance for that car? Employment is contingent on successful completion of a background check. Some people say that the best way to learn is through our mistakes. Can you tell me about a mistake that you made, either work or personal, that taught you a significant lesson? Also, what distinguishes you from all the other applicants out there. Tell us something unique about you.